We are responsible. We care about environment. FSC is an international not-for-profit organization, setting standards for responsible forestry management and taking into account social, ecological and economic aspects. FSC (Forest Steward Council) is an independent non-governmental organization with several decades of tradition. Established in 1993, by more than 20 countries particularly involved in the development of responsible forestry management. 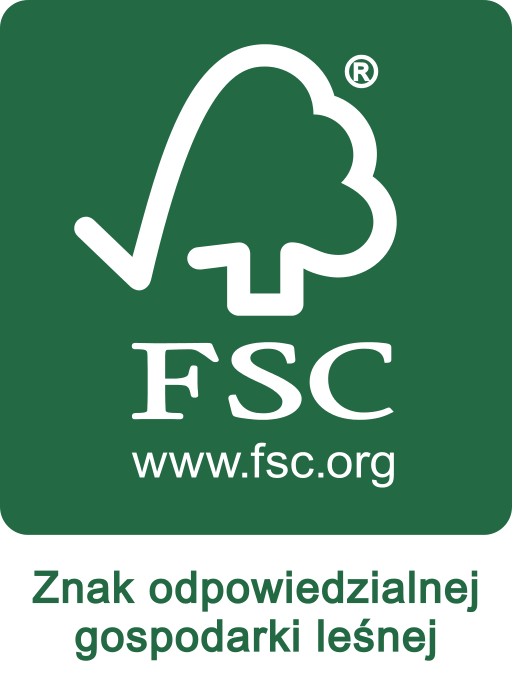 The FSC certificate proves the highest quality of wood and materials derived from it. It symbolizes full control over the entire production process, supply chain, responsibility for natural resources and sustainable development of the environment.